Levi Platero is an example of a musician with the gift of intuition of a much more experienced guitar player. The strength and passion beneath his quiet disposition is unleashed in a style that mixes Texas Blues and vintage rock, influenced by modern guitar heroes such as Eric Johnson and Steve Vai. Backed by his band, Levi’s live shows captivate with bursts of intricate guitar acrobatics all the way down to soulful expressions woven from the 4 strings of his guitar. Though already a formidable talent, as he continues to grow and develop, he is grounding himself and standing in his own space as an artist. 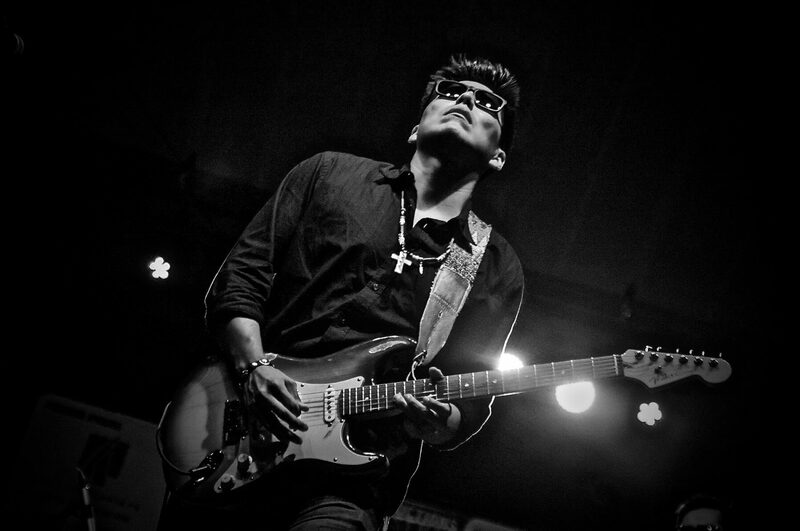 Native American by birth, Levi Platero is a member of the Navajo Nation in the Southwest United States, His family’s band “The Plateros” emerged on the music scene in 2004 as a blues rock power trio with a sound that drew those who followed the likes of Stevie Ray Vaughan, Los Lonely Boys and ZZ Top. After touring the US for a decade with his family band and a year run as member of Indigenous, he decided it was time to focus on his own music. Stepping out without his brothers as they continued with Indigenous was both unsettling and exhilarating. It was time to stretch himself, go solo and form a new band under his own name. He recruited new band members and launched a series of shows. Levi recorded and released a self-titled EP in the fall of 2016. The single cut from the EP, “Take Me Back,” won the 2016 New Mexico Music Award for Best Blues. With a new sound, new material and new band members, Levi is progressing as a solo artist as well as continuing to collaborate with those musicians he is fortunate to call family.